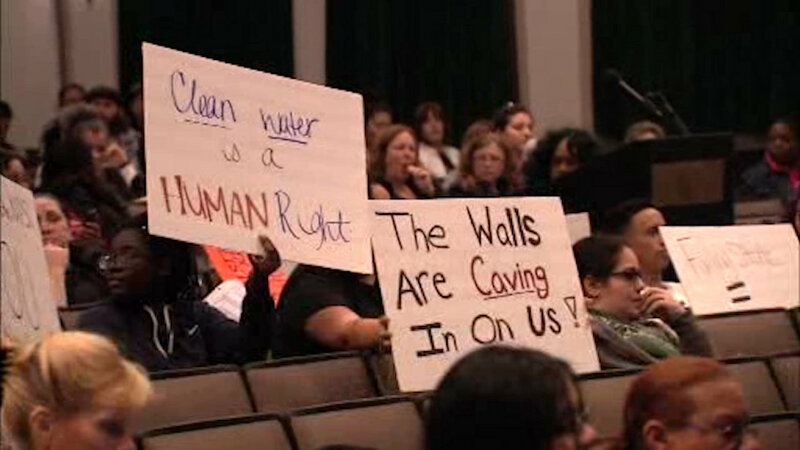 NEWARK, New Jersey (WABC) -- The Newark Schools superintendent took questions from parents worried about elevated lead levels in water Wednesday night. Christopher Cerf says retesting is now underway at those sites, as well as testing at additional sites. He says fixing the infrastructure of the schools to solve the problem won't be a quick fix, but he has no timetable for it.